Send A Message To Anita. Anita is an avid believer that where you are, is not where you will always be! Whether your struggle is with difficult relationships, pain from past hurts or finding your true worth and purpose, she firmly believes you can break free from destructive patterns, from insecurity and self-doubt, and create a better future for yourself. 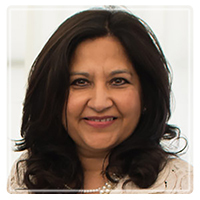 Using spirit led counselling and coaching, as well as solution-focused and strength-based strategies, Anita works with you to uncover root issues, discard negative patterns, and replace the mindsets and methods that are working against you. Anita has over 12 years of extensive experience empowering individuals, equipping couples and families to restore relationships, learn effective communication, attain emotional and spiritual well-being and find self-worth and confidence. Providing a compassionate, caring and encouraging environment, she partners with clients with an unwavering commitment to help them restore joy and peace in relationships, achieve their goals and reach their God given potential.